The Sarili Lodge • Use the form below to contact us directly. 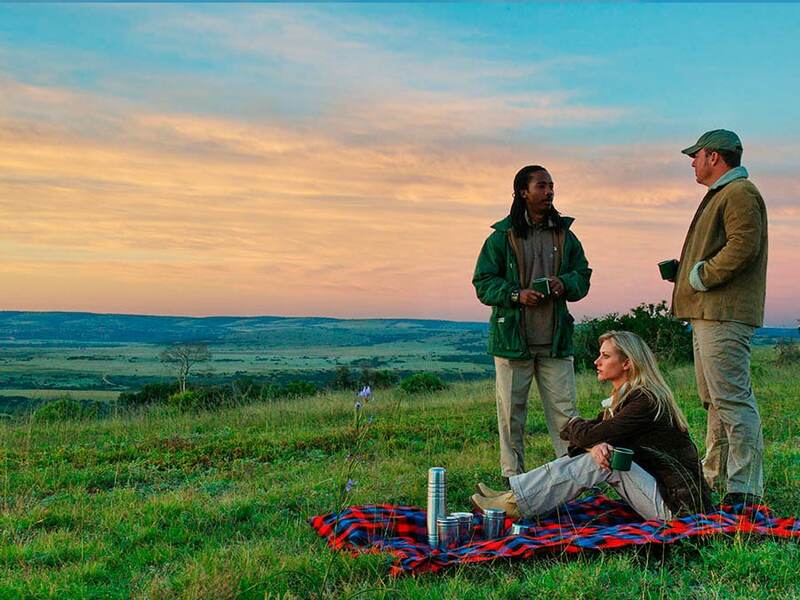 Fill in the fields to check availability & reserve direct with The Sarili Lodge. 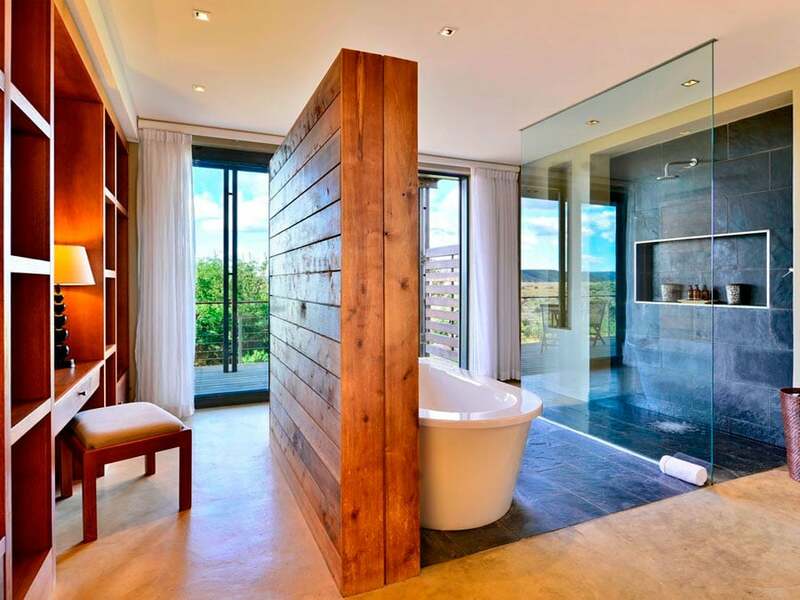 The Sarili Lodge offers a luxury lodge for the Shamwari Game Reserve and it’s suitable for the whole family. 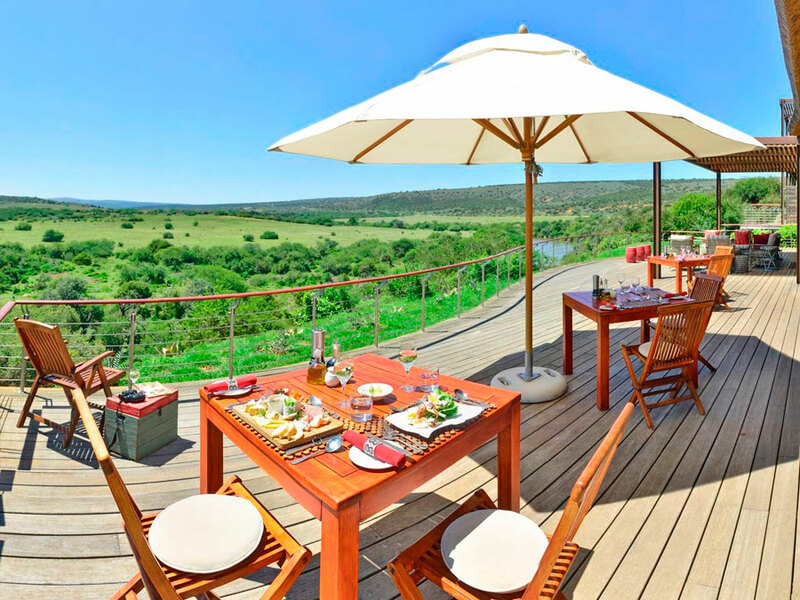 Enjoy some incredible views while relaxing at the lodge and when enjoying your dinner and breakfast to see over the Shamwari environment. 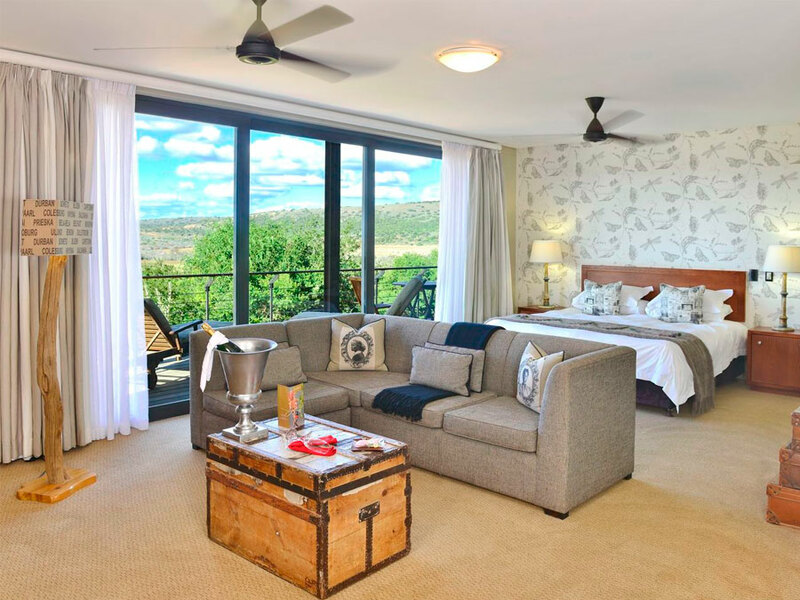 From the lodge, see over the Bushman’s River and the grassy plains for incredible sunrises and sunsets when enjoying the high comfort of the Sarili Lodge. 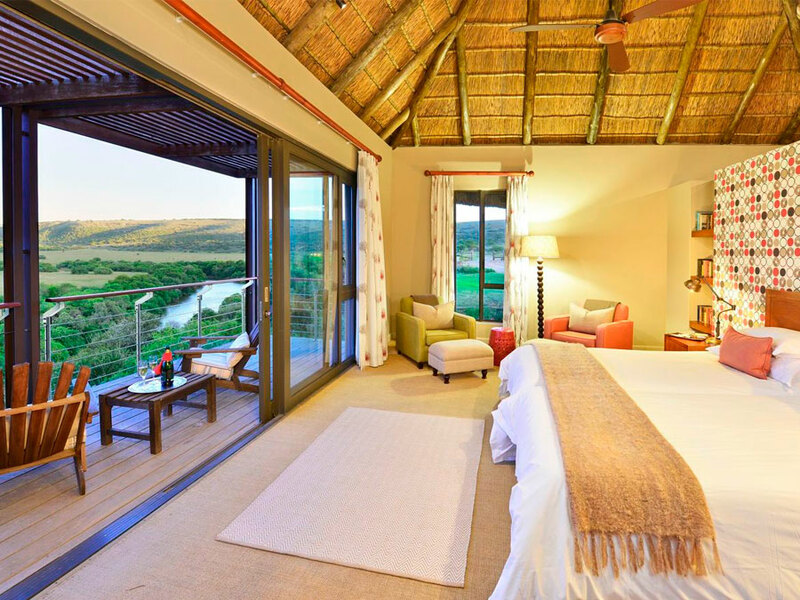 After enjoying your suite and the 5-star accommodation, head into the Shamwari Game Reserve with highly trained rangers and guides to spot different elephants, lions, cheetah, rhinos, and fantastic birdlife. Port Elizabeth is an industrial city on the Eastern Cape that provides a gateway to some fantastic beaches and protected areas. Although focused on industry, there is a fascinating historic center. 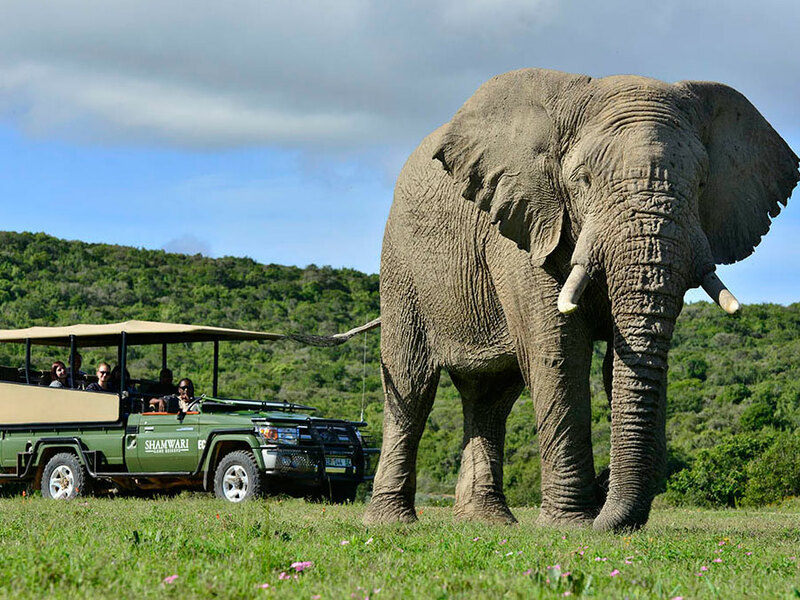 The protected areas to enjoy for a safari experience from the city include the Addo Elephant National Park and the Shamwari Reserve. 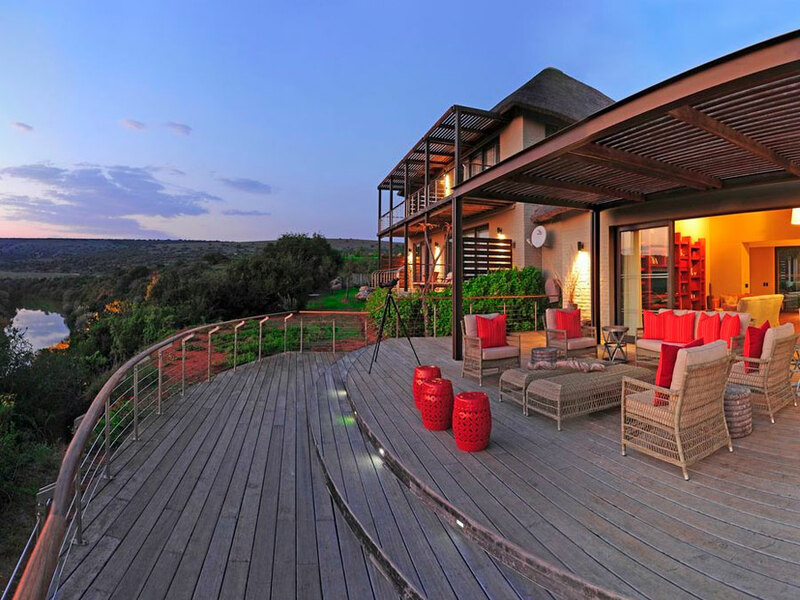 South Africa is the world’s leading Safari destination. 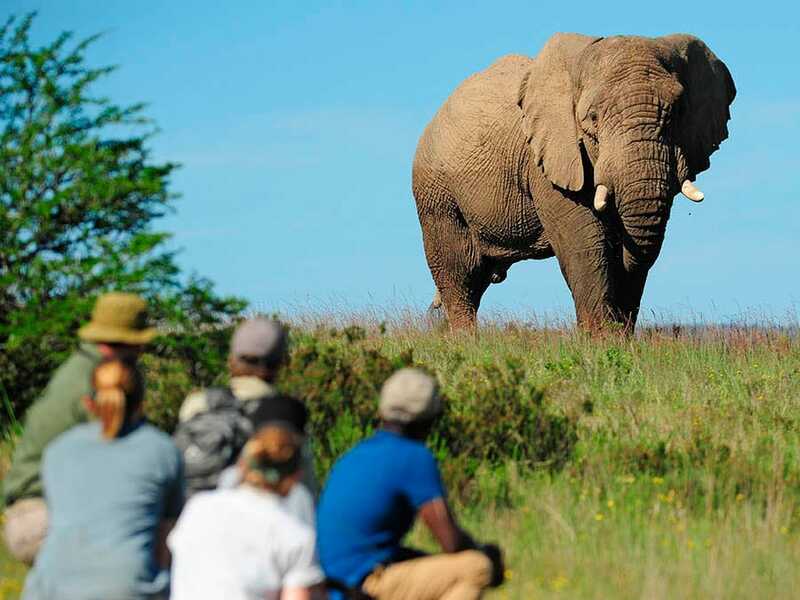 Here you can enjoy incredible wildlife spectacles exploring game reserves to see the Big 5. 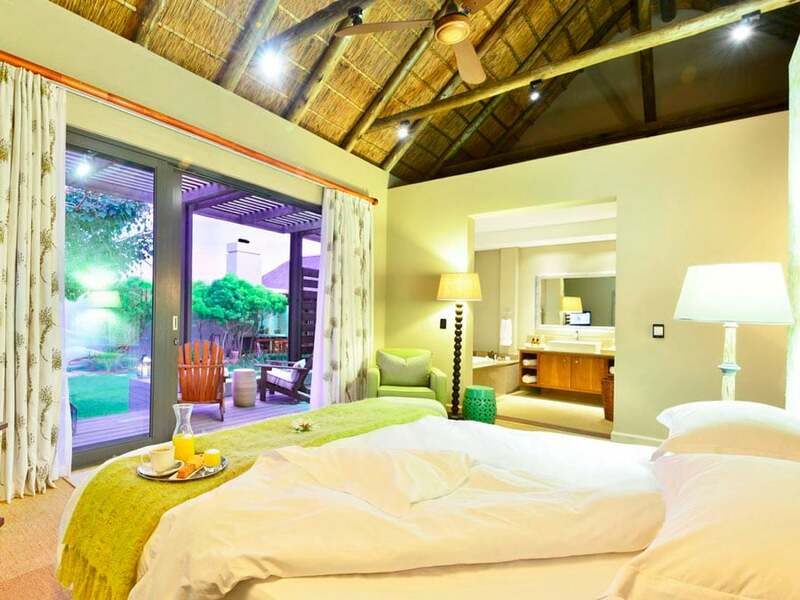 Stay at luxury lodges or get close to nature on Explorer Camps in the famous Kruger National Park, Sanbona Reserve or Shamwari Reserve. These reserves contain all Africa’s Big 5 game animals and many others. 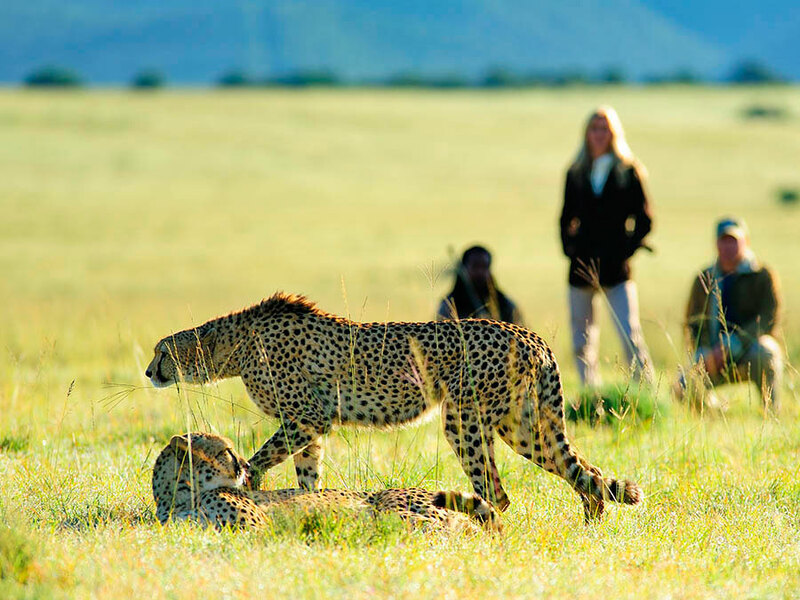 Take jeep or walking safaris to enjoy the wildlife of this remarkable country. 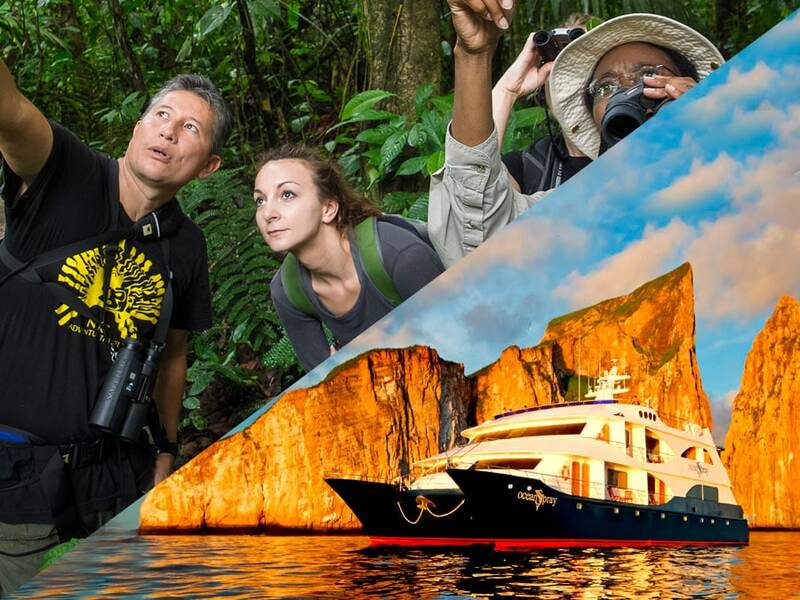 Attracting explorers and adventurers for centuries, Africa remains mysterious with incredible wildlife spectacles like the great migration, some of the world’s most untouched tropical forests, a diverse culture, and fascinating flora and fauna. Africa was the cradle of mankind and the diverse and imposing wildlife we grew up with fills this continent of contrasts. The forested areas of Uganda, Kenya, and Rwanda hide some of the most magical of all the African wildlife sightings, the forest Gorillas and Chimpanzees. Our cousins have been living in these forests for thousands of years. These can be seen on tours led from eco tourism lodges that take guided expeditions to see the fantastic and majestic animals. 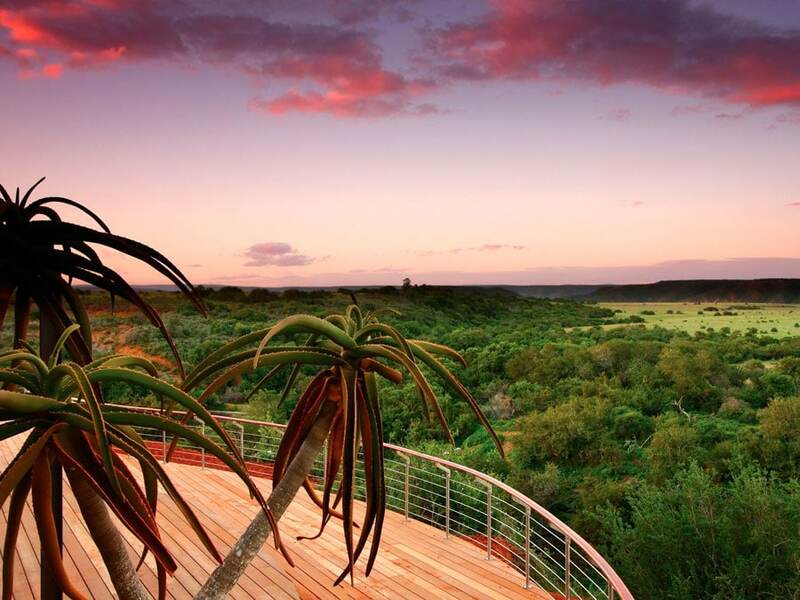 Heading down the continent, South Africa remains a fantastic tourist destination with protected areas like the famous Kruger National Park, Sabona Reserve and Shamwari Reserve. 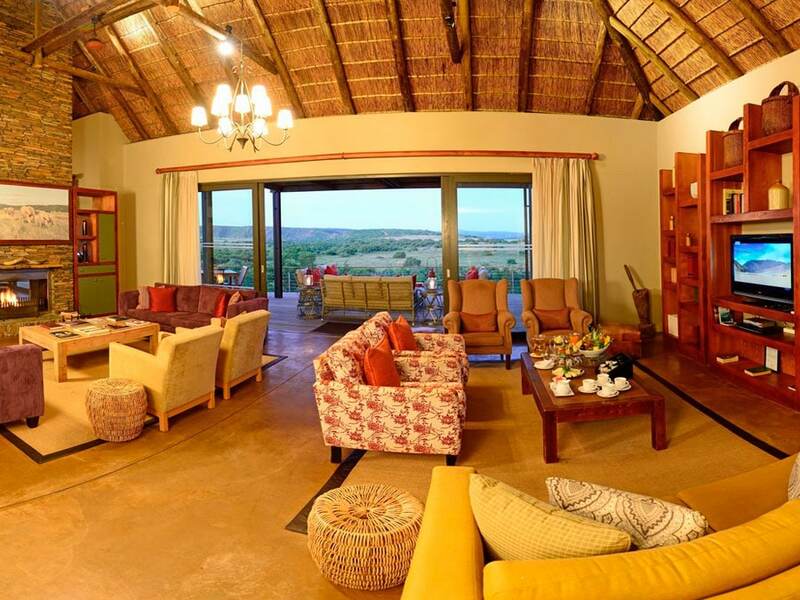 The reserves contains excellent lodges and safari experiences where you can see all of Africa’s Big 5 while enjoying comfortable or luxurious accommodation and walking safaris influenced by early African explorers. 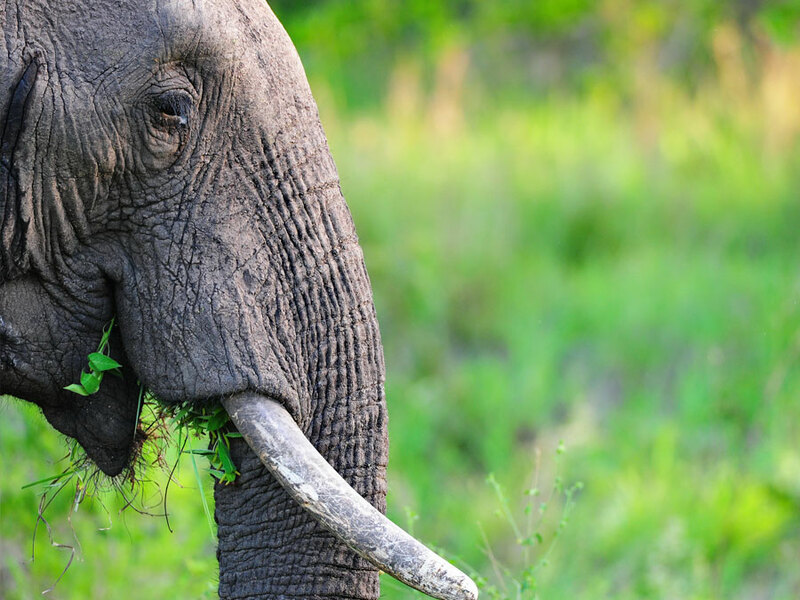 Africa’s protected areas contain the world’s most diverse mega fauna where you can enjoy seeing Giraffes, Elephants, Lions, Cheetahs, Hyenas, Rhinos, Hippos, Chimpanzees and Gorillas. 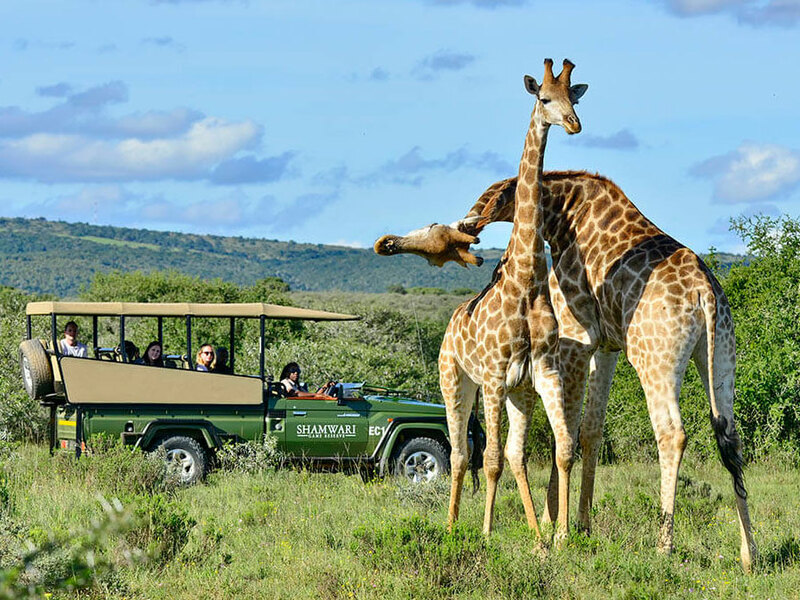 As well as enjoying the comfort of Sarili Lodge, you will head out into the Shamwari Game Reserve to see different animals. 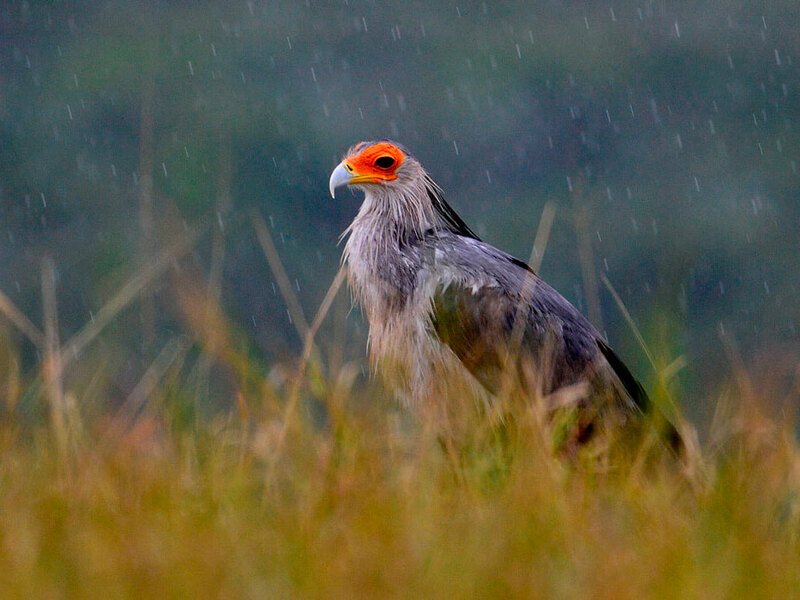 Enjoy twice-daily game drives and birding tours to spot some of the Big 5, diverse birdlife, and visit different wildlife sanctuaries. In addition to observing wildlife, learn about the environment from the highly trained and very knowledgeable guides and rangers. 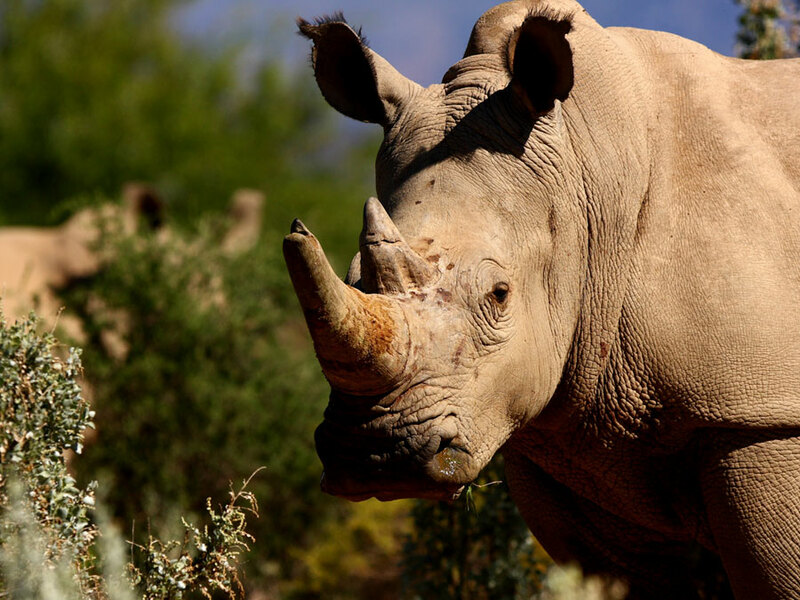 The reserve is associated with various conservation organizations and you can choose to visit various sanctuaries for wildlife, including the Ian Player Rhino Awareness Centre, Wildlife Rehabilitation Centre, and Born Free Big Cat Rescue and Education Centres. 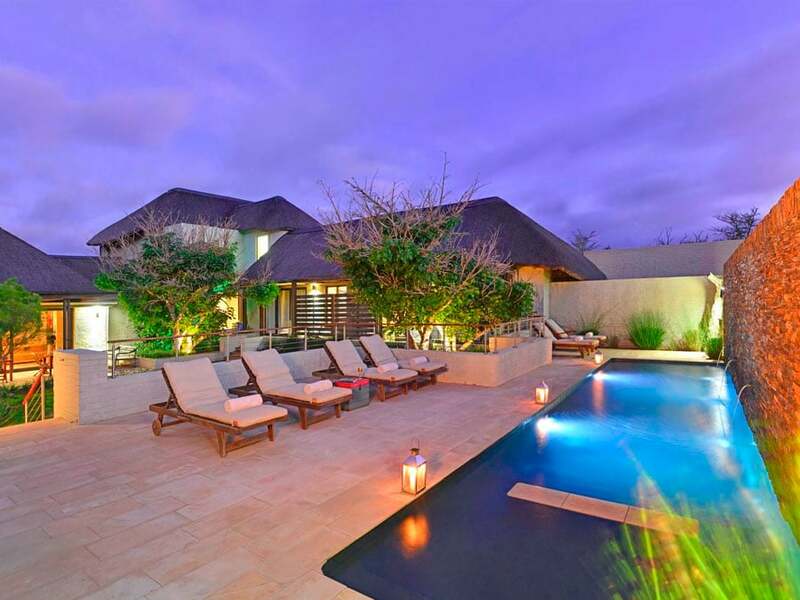 All rates are invoiced in South African Rand (ZAR) on “per person per night” basis. Adult Sharing rates apply to persons (12 years and older) sharing one room/suite/tent. Persons 12 years and older are considered adults and will therefore require their own room/suite/tent at the applicable rates. 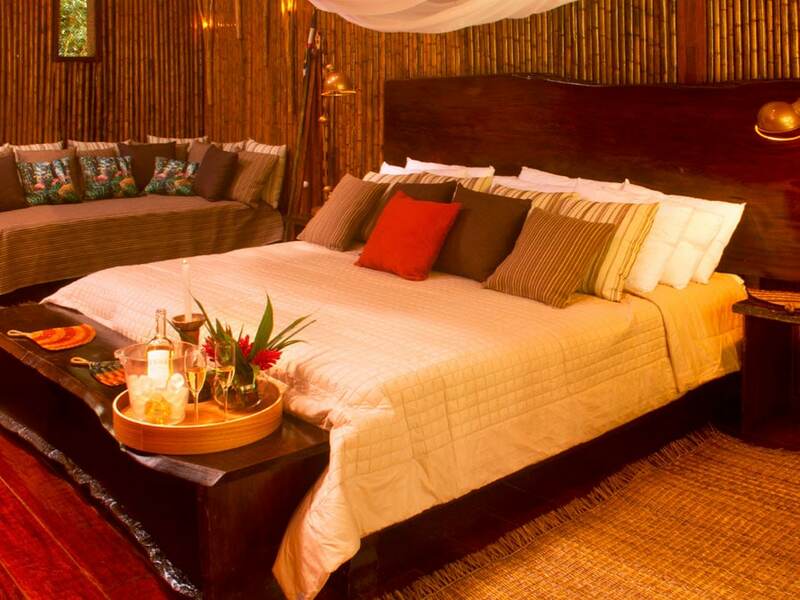 Single Adult rates are only applicable when one adult is staying by him/herself in one room/suite/tent. Not applicable when an adult is sharing a room/suite/tent with a child/children. Note that all rooms can sleep a maximum of two adults. 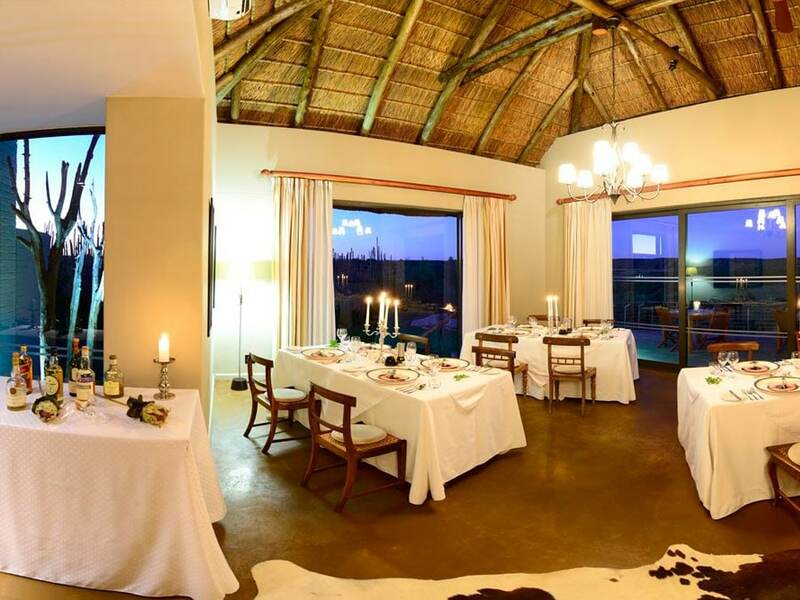 Above mentioned rates are inclusive of breakfast, lunch, dinner, high tea, game drives, guided walks, tea, coffee, water, game drive beverages, tourism levy and 14% Vat (all other beverages are excluded and can be settled upon departure). Persons under the age of 16 years are not permitted on any walking safaris. We highly recommend that travel insurance is taken out. Transfers can be arranged with reservations on request at an additional cost. All transfers are handled by accredited car hire and charter companies. Transfer from/to private landing strips are complimentary, but must be booked prior to arrival. Not available to reservations between 15 December and 28 February (travelling dates). Subject to availability; i.e. 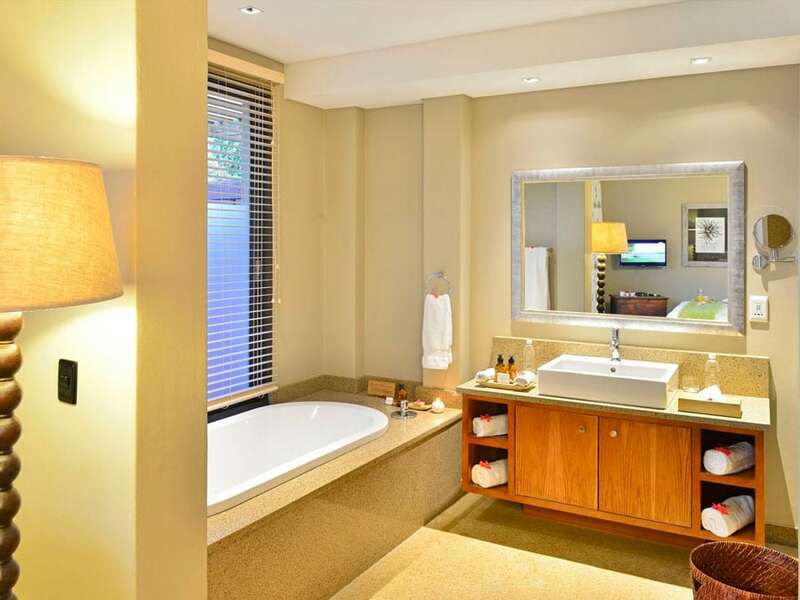 : should we have limited suites available, only confirmed bookings will be accepted. Made less than 30 days prior to arrival will be held for a max of 72 hours. Made 60 - 90 days prior to arrival will be held for a maximum of 7 working days. Made more than 90 days prior to arrival will be held for a maximum of 14 working days. Should confirmation not be received by the given date; the booking will be automatically released and can only be re-instated on the basis that the booking is confirmed/guaranteed. Full names of guests traveling will be required to convert the status from provisional to confirm. Full pre-payment is required 60 days prior to arrival. 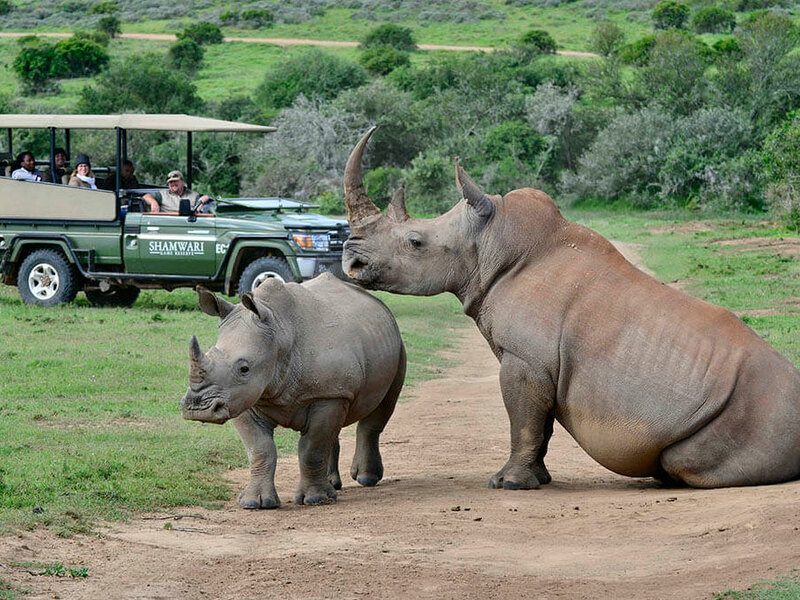 Shamwari Game Reserve reserves the right to release bookings, should payment not be received by the requested date. Any discrepancies on the confirmation/pro forma invoice must be addressed at the time of booking. 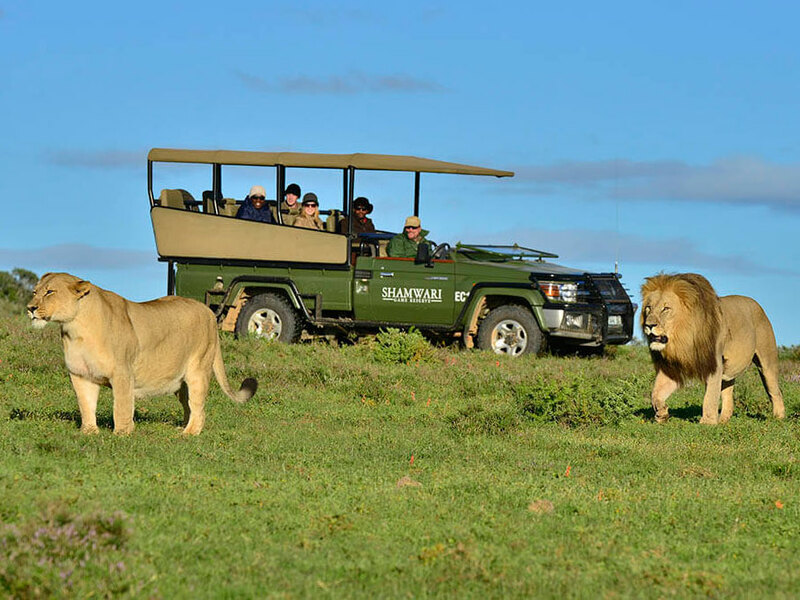 All bank charges are for the account of the tour operator and will not be paid by Shamwari Game Reserve. All payments made by credit card are subject to a 5% transaction fee (based on the total transaction value). Only written cancellations will be accepted; please ensure you receive an acknowledgment of cancellation from reservations. 50% of fee if cancellation is less than 60 days prior to arrival. 100% of fee if cancellation is less than 30 days prior to arrival. 25% of fee if cancellation is less than 30 days prior to arrival. 50% of fee if cancellation is less than 15 days prior to arrival. 100% of fee if cancellation is less than 7 days prior to arrival.